Buy Amina K. a Coffee. ko-fi.com/aminak - Ko-fi ❤️ Where creators get paid by fans, with a 'Buy Me a Coffee' button. Buy a Coffee for Amina K.
Welcome to my Ko-fi Page! 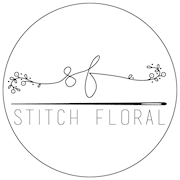 Stitch Floral blog is ads free and I don't depend on reviewing and promoting products or links. And I would really LOVE to keep it that way. If you like my content and also want to keep the blog clean from ads, you can buy me a symbolic coffee :) Thank you! Secured Payments. Support goes to Amina K.'s account. Upgrade Amina K. to a yearly Gold Membership with a one-time payment.